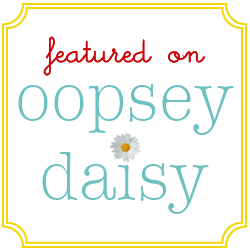 Wednesday’s Wowzers: Soak In a Little Inspiration! 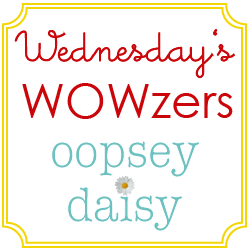 You are here: Home / wowzers / Wednesday’s Wowzers: Soak In a Little Inspiration! Wednesdays might just be my favorite day on the blog. I love to sit back and show off the great ideas I've collected from YOU!! I am finally FINALLY painting my "desk" for my craft room. Let's soak in a little inspiration, shall we? Brown Paper Packages has wowed me once again! 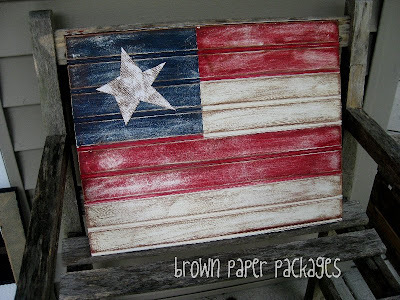 I definitely want to make a beadboard flag like this. Darling! 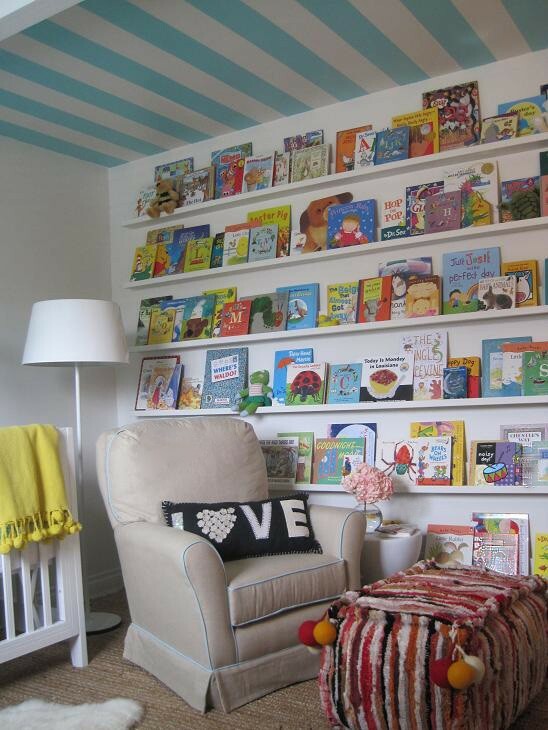 How cool is this library wall from A Mountain Bride?! 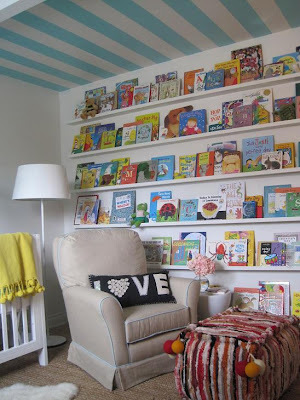 I love that books really do cover this wall from floor to ceiling! I could spend some serious time in this room! I love ideas for summer fun, so this freebie from Laura Winslow Photography really hits the sweet spot! Won't this look darling in a frame?! I kind of gasped when I saw these little man bowtie onesies from Shwin & Shwin. I totally dreamt up this idea months ago, but never got around to doing it. But these are much cuter than I would have come up with on my own! Well done, ladies! What a fun summer breakfast--watermelon waffles! 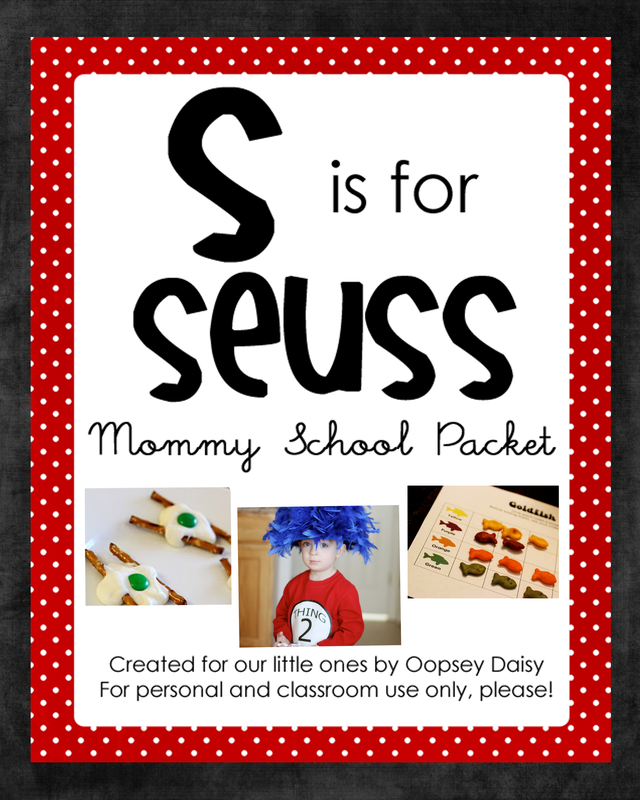 You can see how to make your own at Random Thoughts of a Supermom. 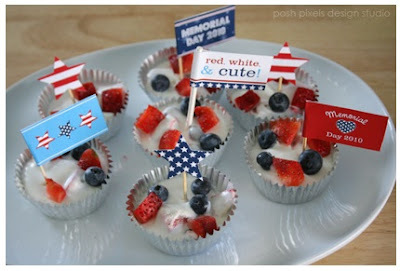 These patriotic printables from Posh Pixel Design Studio are seriously red, white, and cute!! This makes me want to throw a party! Mustaches are the rage--and this mustache mug from Naptime Crafts would make the perfect Father's Day gift! Finally, I am THRILLED to share another "Summer Camp" idea with you. This idea comes straight from my friend Michelle at Green Acres Hobby Farm. Michelle created a book walk! She used stakes to highlight different scenes from a story. I am already planning how to use this with Little Man. Adorable idea, Michelle! 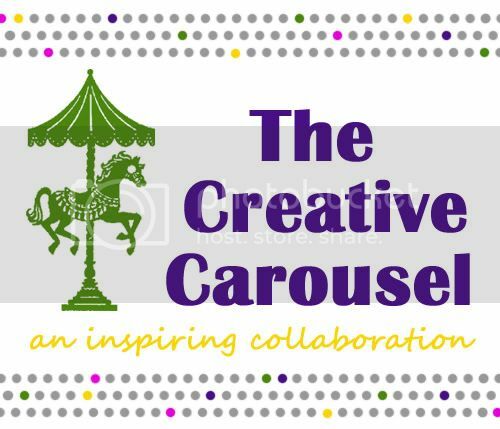 If you are joining in our Summer Camp fun by planning literature-based activities, crafts, or parties, be sure to e-mail me! 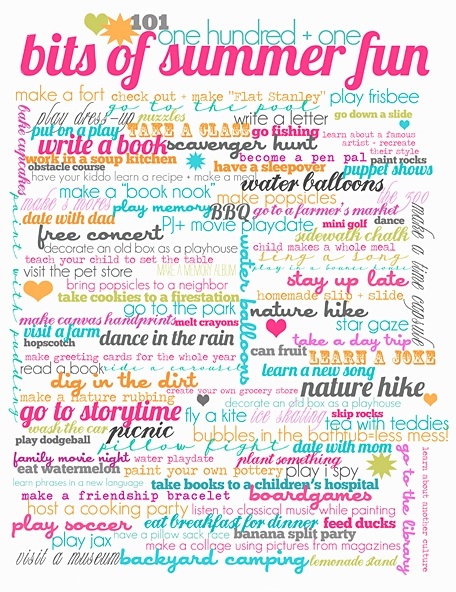 I'd love to feature more ideas for summer fun! Stay tuned for a tutorial later on! Hi! There is actually no download offered here. 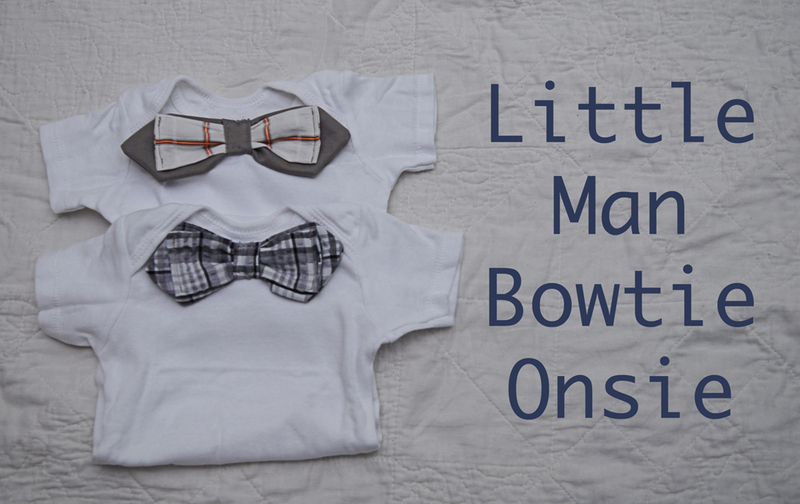 I am featuring several fabulous ideas… but I am not sure if there is a pattern for the bowties I featured or not. You would have to check the original source by clicking the link to Schwin & Schwin. I am not the author of that idea!